Our local 24/7 helpdesk is like having your own support team onsite. Xvand’s proactive monitoring and IsUtility® prevent most issues from ever occurring in the first place. But if you do have an issue, our Houston based dedicated team of IsUtility®, Microsoft, and Cisco-certified experts will work to resolve it in real time whenever you contact us. With our remote pc support services, your business workflow never misses a beat. Call or request support anytime and speak directly to a locally based live technician. No automated response or waiting on the phone. Our team of local certified computer network consultants are always on call to solve any problems or questions your users may have, no matter how simple or difficult. IsUtility® is different than conventional "break-fix" IT support. Instead of waiting for technical support personnel to arrive at your office, IsUtility®’s remote desktop support can resolve most printing, desktop, software and connectivity issues directly in less time and for less money than conventional onsite IT support. IsUtility®’s remote support services have helped our clients cut their IT support costs by 60%. 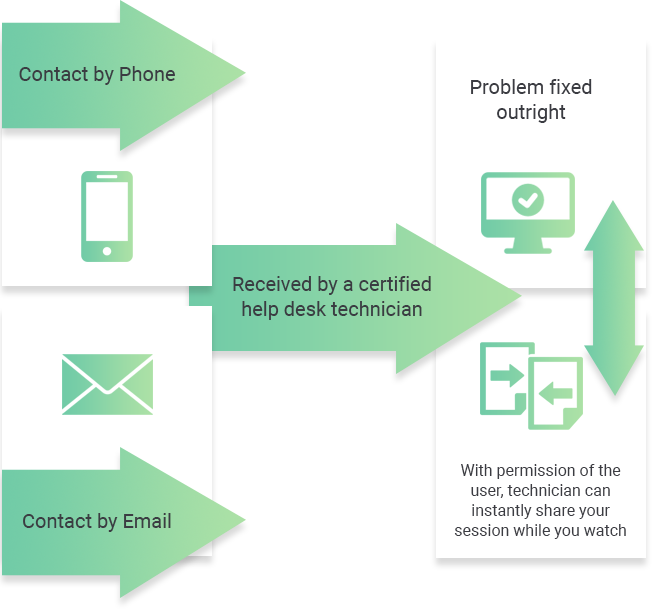 Calls or internet requests into Xvand’s remote PC support are handled by our team of real, live locally located and fully certified technicians. And, almost all of these issues are resolved directly over the phone or Internet. In most cases, our certified professionals can instantly share your employees’ work session, they can see the issue, move the cursor, and resolve the issue while your employee watches in real time.